← Is Borax Really Safe? Thank you all for your wonderful comments, emails, and facebook messages regarding our post on the Common Core Curriculum (What is Happening To You Child’s Education? The Dangers of Common Core). 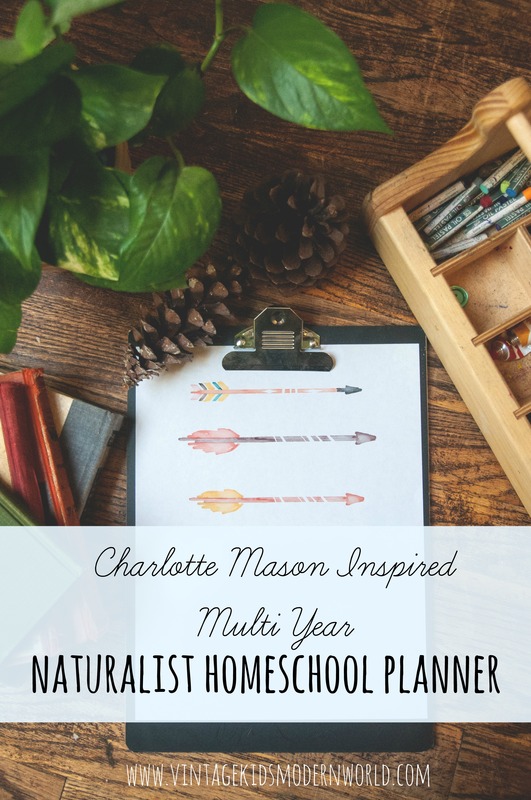 I had planned on putting the information out there and then moving on with our homeschooling series. I have some fantastic posts by our guest bloggers in the cue, waiting to be published, but I feel like there needs to be a brief follow-up to our introduction on the Common Core. The more that I read and study, the more convinced I am of the extreme detriment that the Common Core (CC) poses, not just to our children and our educational system – but to our country. The Common Core is being introduced into the PUBLIC school, so if I’m homeschooling, I don’t need to worry, right? WRONG. The CC is being adopted by 45 of the 50 states, including the District of Columbia, and it’s goal is NOT educational excellence. One look at the standards and examples that we detailed in our previous post will undeniably confirm that. The goal of Common Core is CONTROL. The government is seeking to Nationalize educational standards, which goes COMPLETELY against that 10th Amendment of the Constitution, which outlines education as being within the scope of the State government, not the Federal government. If the States decide not to adopt CC, they will not be granted federal dollars, so although it’s not a mandate, it’s a mob version of law via monetary coercion. Furthermore, homeschoolers will eventually need to meet the same educational standard and use CC approved/aligned curricula because the SATs, State tests and GEDs will all be modified to fit the new CC standards. But homeschoolers traditionally test higher in academics, so I’m not worried. My child will do fine on the tests. Although it’s true that homeschoolers traditionally, on average, test significantly higher than their publicly educated peers, this is not a safeguard given what is coming down the pipeline in terms of change. Standardized testing is slated to be reformatted and rewritten, so we’re talking about a totally different measure of scope and sequence. For example, math problems, as formed by the CC, are based on mental and verbal math; the emphasis is now on the process, not the answer. Eventually, CC-educated students will be asked to verbally explain their method for solving the problem, regardless of whether or not the answer was correct. If your homeschooled Senior can successfully complete complex mathematical algorithms but he is unable to explain how he got his answer, he will not pass. As enlightening as they may be, we’ll be tossing out many of the traditional classics in lieu of “The Evolution Of The Grocery Bag”. Therefore, as homeschoolers, if we haven’t been reading the above list with our Seniors, they have no hope of passing the SATs or GEDs, because we’re talking about two completely different lists of topics and material. But as a homeschooler, I get to choose my own curriculum, so it’s my decision what my children will read and study. True, for now. However, I was disheartened to see that many large homeschool publishers have already, or are planning to, rewrite their curriculum in order to meet CC standards. For a very thorough and growing list, check out the curriculum updates on The Educational Freedom Coalition. My homeschool curriculum DOES align with the Common Core Standards but it’s great material and it really works for our family. I don’t want to switch. This has been the comment that I hear the most and ultimately this is a personal decision. I will tell you what MY family is doing and how we reached this decision. Approximately 30% of the material that I currently use for our Kindergartener and 2nd grader are listed as being explicitly aligned with CC. I had no idea and was, to be quite frank, shocked, to see many of my favorite curricula and publishers listed among those that have joined with the CC curriculum. My family is standing up to this via the Free Market. I will be sad to switch many of our books out for next year, but I, PERSONALLY, cannot in good conscience grant business or endorsement to those companies that have explicitly aligned themselves with anti-Constitutional ideology. Our family is choosing to make this sacrifice, as disheartening as it is, based solely on principle. In all honesty, at the early elementary levels in our math and phonics (the two core subjects in which we use CC material, unknowingly) I don’t see a huge red flag, but I can definitely see a slow change in the method of thinking that those books are seeking to shape in my children. I can see the framework in the methodology that is being laid now in preparation for five or six years down the road. I know many of us like to stay away from politics, but we no longer have that luxury. Don’t resign in fear. Homeschooling is legal in all 50 states. There is no logical or logistical way that we would all conform to the same curricula. It’s true that it’s not logical, but there’s more to CC than meets the eye. Remember, the goal is not about streamlining or fairness. It’s about control. Please realize that our current administration does not look favorably on homeschoolers. Most recently, a German family was granted political asylum because they wanted to homeschool their children but it is outlawed in Germany (based on a law written by Hitler that was never revoked regarding disposing of minority political and religious groups). They were granted asylum in 2010 by an immigration judge, but most recently, our Department of Homeland Security is taking them back to court to revoke their asylum, stating, “that homeschooling is not a fundamental right”. Our government is saying that the choice of how and where to educate our children is no longer our right. Please, continue to read up on the Common Core Standards and the position that our current administration is taking on education (see resources at the bottom). Mothers, we hold the key to our Country in our hands every morning when we wipe their faces and get them ready for school, whether that’s on the couch or via the big yellow bus. We can no longer take this for granted. If we mothers stand up, Core Curriculum will end. Don’t ever take this for granted. A Common Core Primer: What Is It and Why Is It a Problem? Literature or Technical Manuals: Who Should Be Teaching What, Where, and Why? Why Does The Common Core Strike Such A Sour Note? I Want To Homeschool, But…Am I Allowed? This entry was posted in Common Core, Homeschooling, Parenting | Bookmark the permalink. Thank you so much for this information. Funny, that it is not all over the news but we have to find out from people who know where to get the information!. I thought all of us that homeschool do it because we feel our children can get a better & more well-rounded education. No matter whether or not your homeschooling aligns with this, the fact is our choices are being taken away. Now what if you believe wholly in this new thought process but then the government tells you that you have to take your schooling in a different direction, wouldn’t that bother you? No one should look at it in the manner of whether you agree with this new curriculum. It should be looked at it in the manner that our constitutional rights are being taken away! Thank you so much for keeping us informed! I shared this on my personal FB page and pinned it as well. Such an important issue! I want to share this on FB but a link to share isn’t offered. Only pinterest and tweeting. I don’t do either of those. This is a major issue for everyone to be aware of! Thank you so much for spreading the word! I posted a long, thoughtful comment last Tuesday which never appeared. I will sum it up today: your blog, as well as the articles you link to, are incredibly misleading. I am not a proponent of the Common Core, but I have researched it & you seem to have read the opposition’s opinions but not the actual Common Core documents. You pretend to present facts, but they are nothing more than re-packaged opinions from the fear-mongering right. Shame on you. No, she is presenting facts. In addition, CC is about collecting data about each child and teacher and selling it to corporations, a vile practice that both parties support because their donors stand to profit. Nine states have already agreed to collect and sell student data. The federal government has essentially gutted FERPA. Read Diane Ravitch’s blog. Rachel, I’m sorry about your last comment. if it had links in it, it might have gone to our spam filter. I scrolled through and didn’t see it, and as long as it was done kindly, I would have published it, whether or not you agreed with us. As for the sources, yes, actually I do have some CC documents cited. I wouldn’t publish anything that wasn’t completely verifiable because making something up about this would be completely pointless on my end. If you see something in the article that I stated or referred to that was not factual, then I am completely open to honest discussion and will GLADLY print a retraction if anything is incorrect. Many of the articles that I have cited/linked are commentaries on the issue that are highlighting certain aspects of CC. However, for the entire version of CC and their documents, I have previsouly linked directly to the CC website and their FAQ page, which is found at: http://www.corestandards.org/resources/frequently-asked-questions . Furthermore, their is an incredibly disturbing piece published by the DEPARTMENT OF EDUCATION on the technological aspect of CC and how they will be data mining and tracking our children with recorded videos and armbands: http://www.ed.gov/edblogs/technology/files/2013/02/OET-Draft-Grit-Report-2-17-13.pdf. When these things are documented, I’m not exactly sure where your disagreement lies. If you have additional questions or you don’t understand why I am drawing these conclusions, I’d be happy to chat via email through our contact page. The more I read on Core Curriculum, the more I am speechless – it’s quite surprising how much is being done (by our government, current administration and past) without virtually any public knowledge of this happening!! Our poor children are being treated as ‘lab rats’ in some of these studies – this is very disheartening! I appreciate all the information you provide – I was glad to see that there are MANY classics still on the suggested reading lists (I was under the impression that none were on the list?!?!). I do believe there might be better options for ‘instructional reading’ than the Evolution of The Grocery Bag, but happy to see some of my childhood favorites (from “Charlottes Web” to “The Great Gatsby”) still being recommended! Let’s hope (and pray) enough voices will be heard in opposition to the CC and that we have the courage to stand up for our children’s education!! I just found out that a local county here in FL is ‘piloting’ the CC in their public schools! I’m still wondering, and trying to find out, if by ‘piloting’ it means that if the teachers find this system doesn’t work, then will the counties and/or states do away with it???? (isn’t that what piloting a program normally entails??) It is being presented as a way to help those families who move to a different school NOT miss out on topics that have already been taught in one school and not in another (it sounds like such a ‘nice’ idea, doesn’t it? But there is no regard to accomodate learning styles, students with special needs, or the dyanmics of individual classrooms, just to name a few problems with this ‘nice idea’!!). My sister-in-law is a newly retired public school teacher and she told me a teacher got up and walked out of a district meeting when CC was being discussed….sounds like we might have some teachers on our side, too!!! Kelsi- Thank you for the time you’ve taken to expose what CC really is. I, like Colleen, thought that the required books you listed were replacing the classics we currently read. I’m glad the classics are still included as well. However, your comments, “As enlightening as they may be, we’ll be tossing out “To Kill A Mockingbird”, “The Scarlet Letter” , Shakespeare and many other classics in lieu of “The Evolution Of The Grocery Bag'” discount your stand. It can mislead readers into thinking those books were removed from the list and replaced with the list you mention. I am NOT taking a stand for CC, I just wanted to say that your statement is incorrect and to take an effective stand, we need to pass along correct information. I followed the link and scanned the list of books that are covered. I was sickened by some that were listed. As a homeschooling mother, I will continue to choose books that represent Truth and acknowledge our Creator. Whether my kids will successfully pass the SAT is in God’s hands at that point. I do realize for many to be accepted into college or to obtain a GED and secure work, they will have to successfully pass tests that are geared toward CC information. Sad days we are living in. I really appreciate you taking the time to shine a light on CC for us. I really am grateful. Jeremy and I have a lot to talk and pray about regarding education choices for our five children next year. Blessings! The links you have on which homeschool curriculum are not CCS compliant does not work. It tells me the post I’m looking for doesn’t exist. Is there another website with the same information? All of this (and far more) is exactly why the group parentalrights.org exists, and why every home schooling family in the country should be actively involved in the effort to add a parental rights amendment to the Constitution. Sadly, while not a guarantee in these times, it is the best that can be done via the law of the land. In the end, this entire debate is about parents having the ultimate say in how their children are educated and raised. Parentalrights.org is an off shoot of HSLDA, who is representing the German home schooling family in court. Every parent who cares about their ability to raise their children as they deem best should be concerned about current troubling trends. http://www.parentalrights.org/. It would take a huge rewrite of each state’s hsing and/or private school laws to force all or even most hsers into CC alignment. This is definitely going to be a HUGE problem for about 85% of government schooled children. Nance, I do understand that many homeschoolers never take the SATs or other standardized testing, but in case you weren’t aware, many states require that homeschoolers take periodic standardized testing. Therefore, by default, homeschoolers will need to acquiesce to CCS curriculum, or they won’t pass the tests. Furthermore, any accredited College or University will require the tests, so although it’s not required, it is MANDATORY if your homeschooler wants to obtain a BA or BS. Also, it’s true that it would take a massive rewrite, but it’s already in process. Each state is taking a different approach to CCS in their timeline of implementation, but most will start THIS coming school year – which means that tests will change soon and homeschoolers will need to make a decision about what curriculum they want to follow. Unfortunately,as I mentioned in this article, it’s not happening JUST through governmental changes, it’s happening via the free market. In order to eventually meet the demands of the inevitable CCS market, many homeschool publishers are starting to allign to CC standards and requirements. We must always keep in mind that, regardless of your partisan affiliation, this administration is NOT friendly towards homeschoolers. There is no intention to lessen the requirements that we have to meet, and we can’t just assume that it will never happen. That’s what allowed CCS to get as far as it has – because we all assumed that it was too ridiculous or too far-fetched to ever happen. And then it happened. Please stay up to date in your states’ CCS standing and educate those on your unschooling website. We can’t afford to stay in the dark on this one. CB, I have seen no evidence that this administration cares about hsers one way or the other. This is not about Obama. This is about test and curriculum publishers selling the next set of garbage and the public school system being pushed and pulled along. But that is not the same thing as states requiring testing or curriculum that was not previously required of homeschoolers. If you live in a state that requires testing, you still have to test. If you want to go to college, you have almost always had to jump through testing hoops. No change there, either. I appreciate your concern about those who visit my unschooling website — actually the website for the umbrella school I run for unschoolers and other homeschoolers in Florida. I try to provide information that is accurate without being melodramatic. In Florida, for instance, you have the option to enroll your child in a private school operating as an umbrella school for home educators. No testing is required. About half the homeschoolers in FL use this option. The other option here is to register your Home Education Program with your county school board. An annual evaluation is required. The evaluation MAY be a standardized test. Most people choose a portfolio evaluation but some test. The standardized test can be one of several and can even be the FCAT (our state’s NCLB public school test). Now, I agree that anyone who opts for the standardized test option under the HEP/county registration option here in Florida, will be dealing with the latest and greatest version of standardized testing — Common Core. But it is not the only choice, or even close to the most usual choice, of most home educators in Florida. Maybe where you live, standardized testing is the only choice. I don’t know. But home educators have lived through years and years of this standardization nonsense, have ignored most of it and found ways to maintain our independence, fashioning learning experiences for our children that are sometimes completely removed from anything like public school. I have not seen anything to suggest that won’t continue to be the case. One big outcome might be that fewer homeschoolers choose to use a standardized curriculum. I can see that happening. But, for many of us, that was a choice all along. Thank you for this information. I am still learning so much about HS’ing. I am just beginning this journey and it’s very disheartening. My boys are currently 4, 2, and 1 and my choice to HS them is to get away from this kind of stuff. There is no guarantee that the SATs will change. They are put out by the college board, so Universities, which are not bound by CC, would need to dumb down their standards. University course curriculum itself would need to be changed by individual professors. Hopefully the college board realizes the lunacy in all of this. Thank you for writing this because I found you while looking more into CC online. I don’t know WHAT books I will use next year for my 8th grader 🙁 This is truly scary. Again thanks for all the information. you’re so very welcome! it’s a hard decision to make and it’s taken me awhile to change things up as well! Laura, that’s true to an extent, but yes, unfortunately the SATs will be changing. The SATs are written to test you in retro of what you have already learned, not in anticipation of what’s coming in college. Unfortunately I don’t see how it won’t eventually effect higher learning institutions, because students are coming in with a completely re-defined skill set and level of education. The CC will eventually trickle into colleges and universities but I don’t see it happening overnight. However, eventually any school that accepts Federal funding will be affected. SPOT ON! I could not agree more! We have to fight this because the nature of the beast is control, not freedom. HELP KELSI! Next year (2014) we will start homeschooling a 6th grader… We are completely against Common Core but are also LOST as to how to choose a curriculum and where to start with everything, especially after reading all of this. Please contact me via my email address if you can help in any way! Thank you for your educating blog! P.S…. We are in New Mexico… does location make any difference? Hey – no need to be terrified 🙂 And location only matters in regards to your state’s requirements. Check out HSLDA.com for your state’s homeschooling laws; that will give you a spring board. As for curriculum, there are so many choices and approaches, so look through our series and then sure, we can definitely chat! If you have specific questions or topics you’re wondering about, let me know – and you can email them to me at kelsi at cheekybumsmarket dot com. As a new homeschool mom I’m finding it difficult to undo what my son was taught in school up to this point. Specifically math. They used common core math (regrouping), and when I was in school it was as simple as carrying and borrowing, etc. No symbols and illustrations. Just simple math. Now that my son has learned by regrouping I am having a heck of a time teaching him the old way of math and I broke down and went with a common core aligned math curriculum and my conscience is a little uneasy about it. My question is, if my son has already learned this way should I push to teach him differently or continue on with what he’s familiar with? I’m really confused as a homeschool mom when it comes to this. Any advice would be appreciated. Thanks!